The centrifugal process does not rely on discrete risers or feed points to ensure the absence of trapped porosity. Rather, the inner diameter remains fully liquid during the solidification process, resulting in a continuous supply of metal to feed areas of contraction. 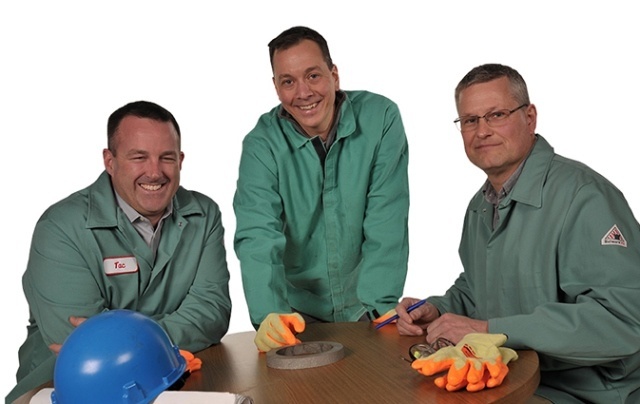 Unlike conventional gravity or static castings that chill from both the inside and outside surfaces and risk trapping mid-wall shrinkage, centrifugal castings solidify from the outside surface inward. The result is a part consistently free of shrinkage cavities, gas pockets, and blowholes. 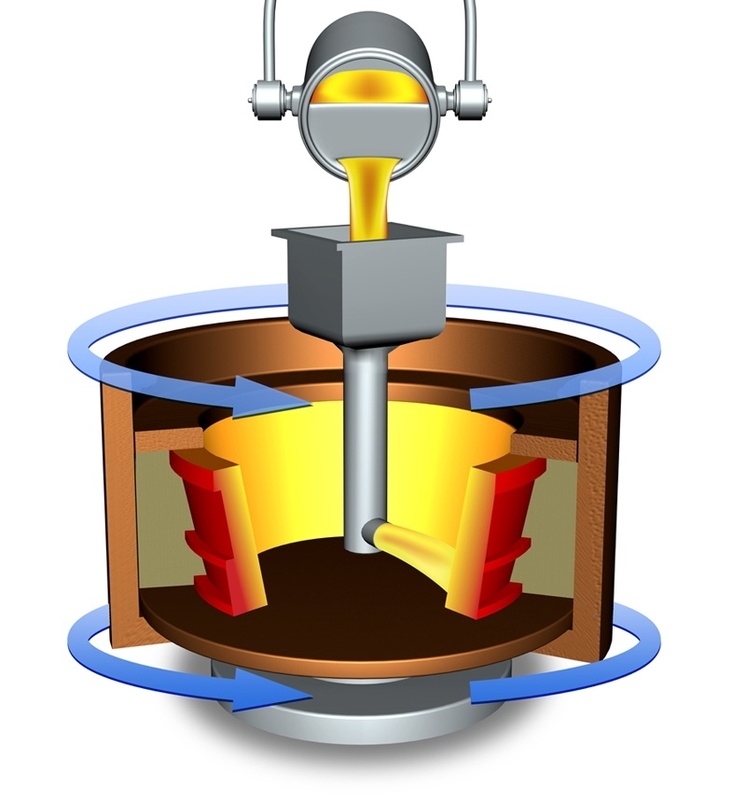 Unique to the centrifugal process is the high force that effectively isolates less dense substances in the casting’s bore area. These impurities are later machined away, leaving a defect free part. Molten metal is fed into a rotating mold where a centrifugal force of up to 100Gs is applied to the metal. Centrifugal force is critical for this process. The Gs produced are dependent on the RPM and diameter of the die. The centrifugal force pushes high density metal against the mold sidewall while lower density components migrate or "float" toward the I.D. These lower density items include metal oxides, sulfides, gas, and other impurities that would otherwise have been inclusions in the casting. This phenomenon is termed “secondary refining”. 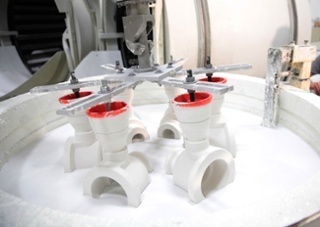 Centrifugal casting is a process that delivers components of high material soundness. As a result, it is the technology of choice for applications like jet engine compressor cases, hydro wear rings, many military products, and other high-reliability applications. It has also proven to be a cost-effective means of providing complex shapes with reduced machining requirements and lower manufacturing costs as compared to forgings and fabrications. 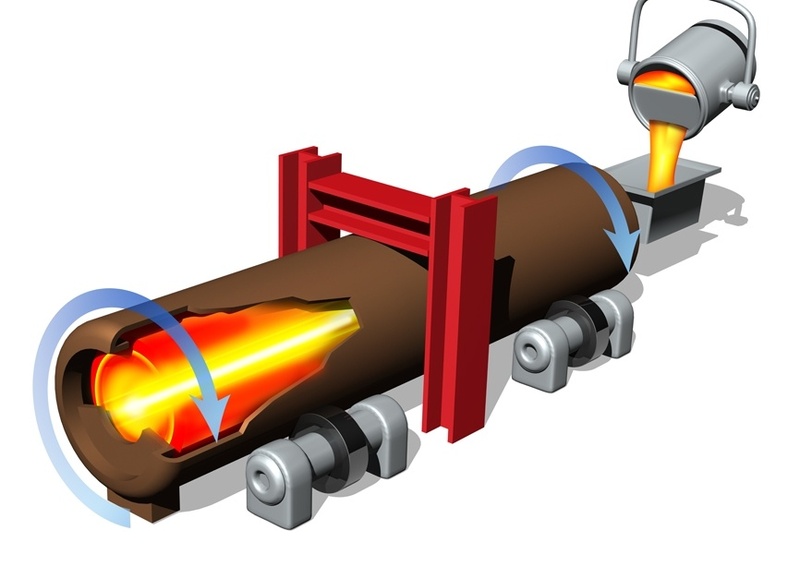 In the centrifugal casting process, molten metal is poured into a preheated, spinning die. The die may be oriented either on a vertical or horizontal axis depending on the configuration of the desired part. 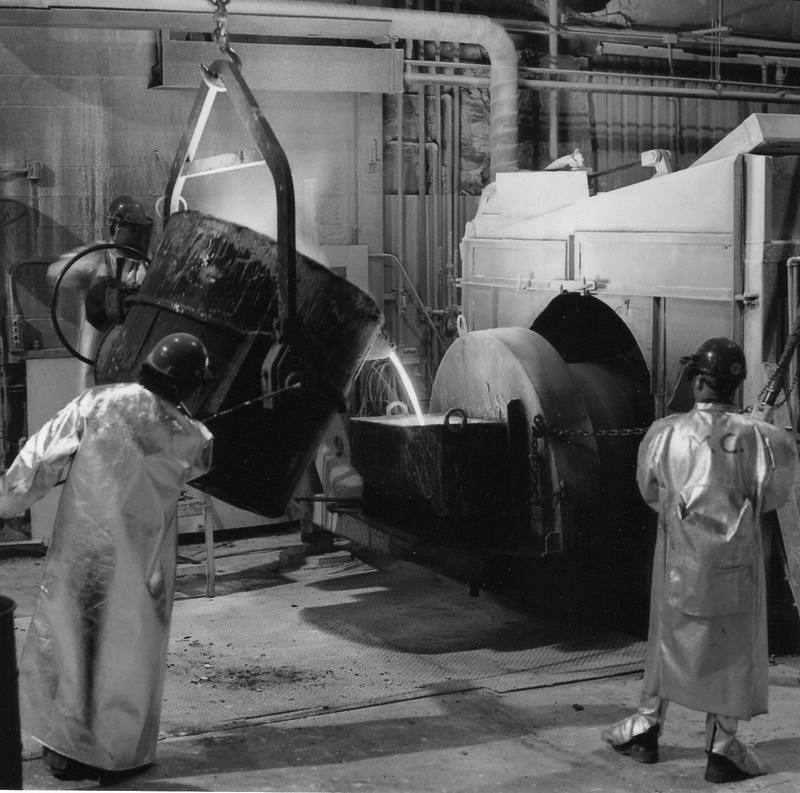 By spinning a mold while molten metal is poured into it, centrifugal force acts to distribute the molten metal in the mold at pressures approaching 100 times the force of gravity. The combination of this applied pressure and the engineering mechanics of controlled solidification and secondary refining produces components of superior quality.